The rapid pace of change in today’s business environment creates the need for an increasing number of companies to transform the way they sell. This involves changing the way their assets (sales team, sales talent and customer engagement approach) with their new go-to-market strategies. This new way of thinking about the sales organization can be called Sales Capital Management. Driving the right mindset, practices and behaviors required for your sales organization to deliver predictable, repeatable and meaningful results. 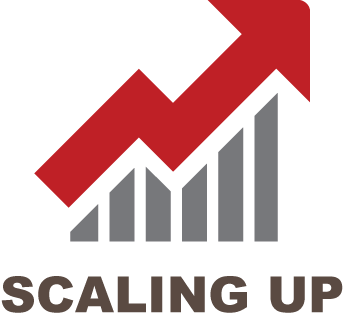 Robert Sutton, a professor at the Stanford Graduate School of Business, did some interesting research on how organizations can scale best practices. A theme arose as a result of several discussions with senior executives at Fortune 500 companies who were working to build a more customer focused organization. Once a new or improved way of doing business was discovered, getting it to spread throughout the organization proved to be very difficult. Sutton called it the Problem of More while the executives often described it as the challenge of “scaling” or “scaling up”. Curiosity is a pre-condition for innovation and the culture of your business is ultimately the sum of your actions. Creating a culture of curiosity in your organization will generate more ideas and lead to innovation in your organization. In his book Diffusion of Innovations, Everett Rogers defines innovation as “An idea, practice or object that is perceived as new by an individual or other unit of adoption”. In an organization, there are various forms of innovation. Products, services, company structures and ways of engaging customers can all be innovative. An innovation does not have to be unique to the world, but must be new to those interacting with it and those affected by it. In other words, it must be new to the organization or industry to be considered innovative.